through mark-making, the impression of a moving, three dimensional form. where they absorbed the influences of Surrealism and Art Brut. Each used the head as a means to explore interiority, marking, collaging and inscribing things unseen – the damage of war, modernity, history, past and present – onto its surface. 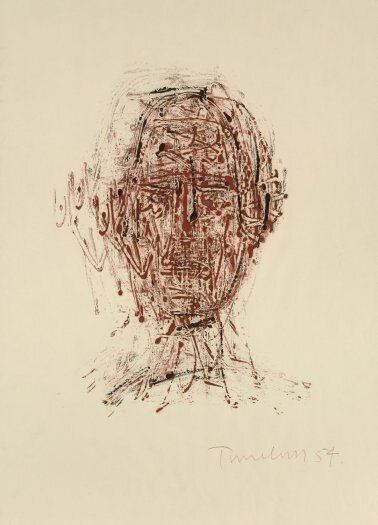 This drawing owes a clear debt to Alberto Giacometti – an early influence Turnbull freely acknowledged. After the war, Turnbull had won a scholarship to France, staying there from 1948–1950. In Paris he visited many well-known artists in their studios, including Brancusi and Léger. He tracked down Giacometti and visited his studio with Nigel Henderson several times. Giacometti was at this time making elongated figures on a life-size scale and also in miniature on horizontal slabs. Turnbull immediately responded to the work, making his own linear sculptures on bases, using fine wire armatures thinly covered in plaster. 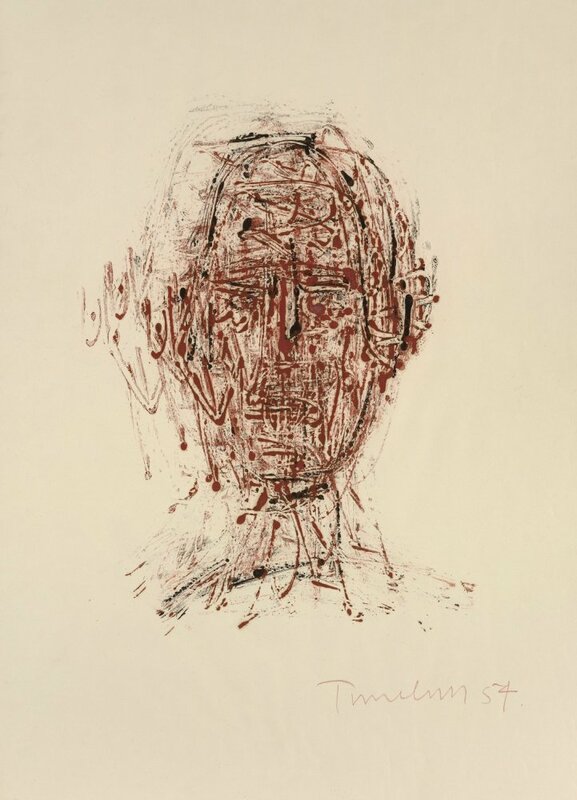 Soon after, both Turnbull and Giacometti were represented by the Hanover Gallery in London.